The Copacabana King is committing a considerable contribution to the Coachella Valley. 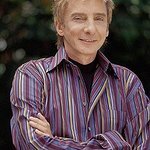 64-year-old Barry Manilow has pledged over $250,000 worth of musical instruments to the public middle and high schools surrounding Palm Springs in a bid to give students the same opportunities he received in his high school music class. The donation follows Manilow’s gift of more than $10,000 worth of musical instruments to Palm Desert Middle School in January, and is a result of a young girl who approached the singer with a plea. After making the initial donation, Manilow attended a concert by the Palm Desert Middle School band. Manilow intends to continue his quest to keep music alive in schools in the near future.